12 million pounds of raw beef are under recall for possible salmonella contamination. 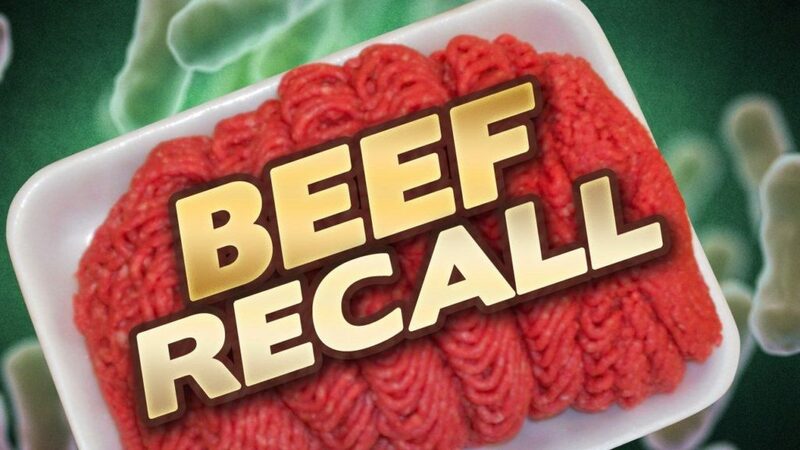 WASHINGTON — According to the USDA, Arizona-based meat producer JBS Tolleson, Inc. has recalled almost 6 million more pounds of raw beef products. This is an expansion of another recall that happened in October, when more than 6 million pounds of raw beef were declared potentially contaminated. Overall, JBS is recalling approximately 12,093,271 pounds of “non-intact raw beef products” that may be contaminated with salmonella. 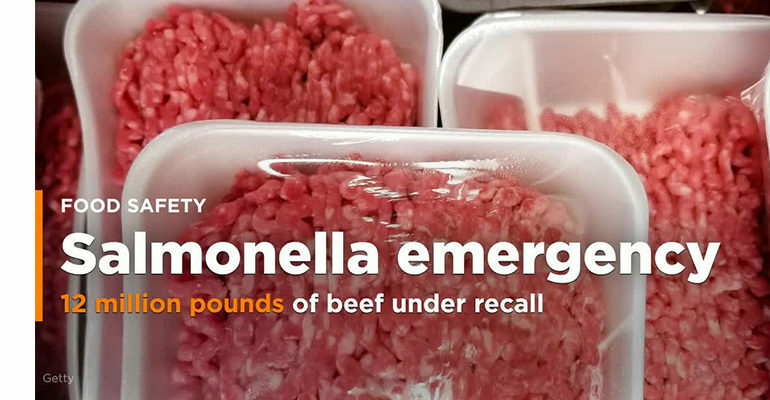 The products newly added to the recall (including ground beef) were produced and packed between July 26 and September 7. The affected products have an establishment number of “EST. 267” inside the USDA mark of inspection. The potentially contaminated beef was shipped to retail locations and institutions nationwide, according to the USDA. After the October recall, the FSIS, CDC, and other state public health and agriculture partners investigated the salmonella outbreak, which sickened at least 246 people from August 5 through October 16. The USDA also notes that three confirmed patients had JBS Tolleson products that were not included in the October recall. “FSIS will continue to work with public health partners and provide updated information should it become available,” the recall notice stated. Eating food contaminated with salmonella can cause salmonellosis, which is one of the most common bacterial food-borne illnesses. Common symptoms include diarrhea, abdominal cramps and fever within 12-72 hours after consummation. Usually, salmonellosis lasts four-to-seven days, but severe diarrhea may require hospitalization. If you have any of the recalled products at home, do not eat them. You should either throw them away or return them. FSIS reminds consumers to always safely prepare raw meat products—fresh or frozen—and only to consume ground beef that’s been cooked to a temperature of 160 degrees Fahrenheit. If you have additional questions regarding the recall, you can contact the JBS USA Consumer Hotline at (800) 727-2333.